David Gibbs took a leap of faith in 2003 when Bob and Mary Schindler, Terri Schiavo's parents, asked him to represent them in their desperate battle to save their daughter's life. Taking the case, Gibbs embarked on a compelling journey that would forever change his life. He watched Terri fade away in her final days and was with Mary Schindler the last time she saw Terri alive. He witnessed what the media did not see or report: that Terri was not a vegetable; that she laughed, cried, and responded to verbal commands; and that yes, her life was very much worth saving. David Gibbs says, "After Terri died, Bob and Mary asked me to tell what really happened -- specifically the tragedy of this landmark case -- so that many others would be spared from a similar fate. I make no apology that, from my perspective, what happened to Terri was wrong. Very wrong. Maybe you agree. Then again, maybe you disagree, or the jury is still out in your mind. I believe if you will join me as I present my case, you will come to understand: Why I fought for Terri. Why I'd do it again. And why I'd fight for you, too. Now, read the story for yourself and learn how you can protect yourself and your family against a similar tragedy. 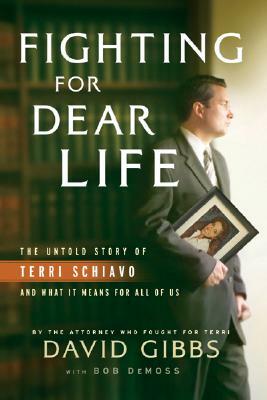 Why Does Terri Schiavo's Life -- and Death -- Matter for America? David Gibbs, attorney for Mary and Bob Schindler, Terri's parents, gives his insider's account of the story that tore the heart out of a nation. He explains how Terri's case has become the Roe v. Wade of our generation. Keywords: LAW. LIFE. RIGHT TO DIE. EUTHENASIA. PROBATE. TERRY SCHIAVO.